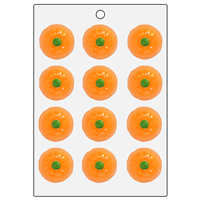 Use the Pumpkin Mini Mold to create perfect little pumpkins to place on top of soap cupcakes, soap bars and more! 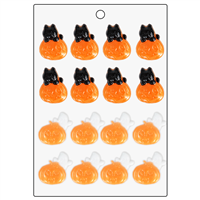 The smiling jack-o-lantern faces will be adored by all. Bar Cavities: 16 Bar Depth: 0.25"
Bar Length: 1.7" Bar Width: 1.45"